To see a uniquely charming area in Los Angeles under the National Register of Historic Places that is hardly hyped the way tourist destinations are. 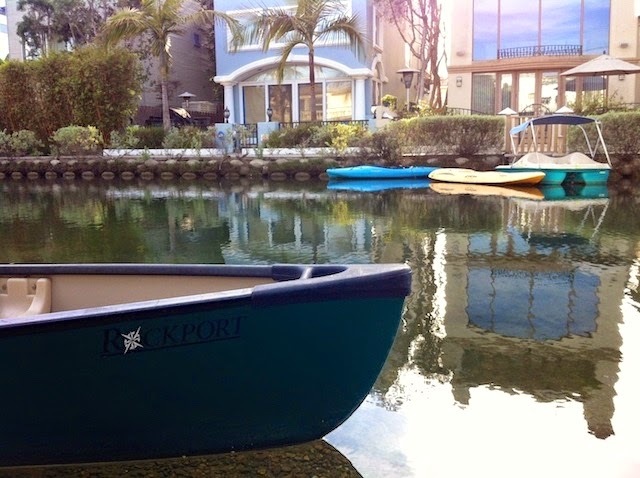 The Venice Canals offer much for visitors in terms of history and architecture, and picturesque scenery for photography aficionados and those who simply want an unexpected surprise in the City of Angels. About 19.5 miles/31 km from Downtown Los Angeles. Map. 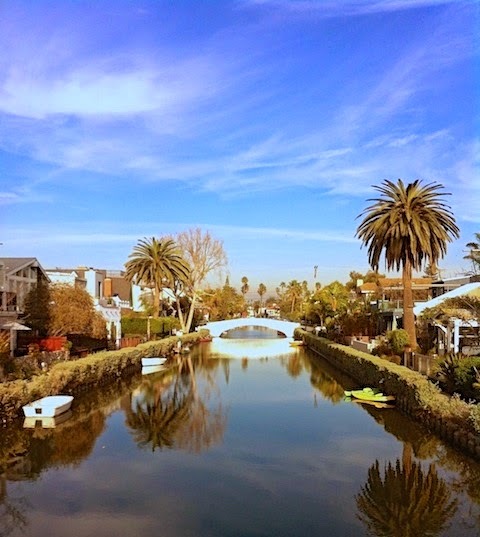 AT THE VENICE Canals, it hardly feels like the Los Angeles you know from television and movies. Not long after the canals were built, they began deteriorating due to construction with un-reinforced concrete and a lack of proper maintenance. By the 1920s, deterioration was severe and water quality was poor. As a result, Venice (which was an incorporated area at the time) became part of the City of Los Angeles. Property owners requested that the City fill the area along Abbot Kinney’s Canal system: they were and were converted into public roads. Thankfully, the same did not happen for the North Canals, as there weren’t enough property owners for Los Angeles to establish an assessment district to fund that work. 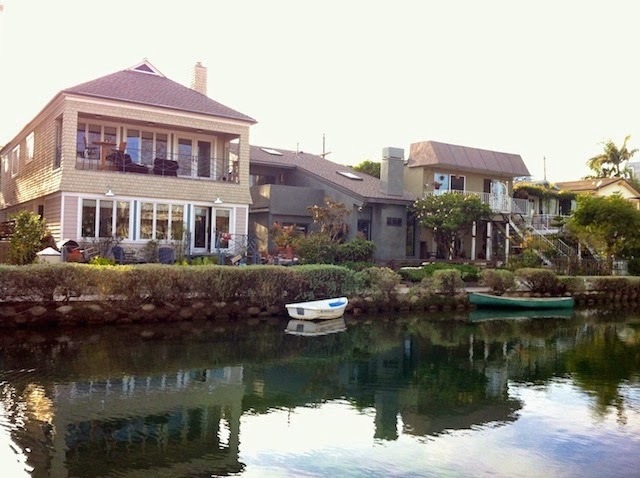 It is the six watercourses in this system that make up the Venice Canals that exist today. 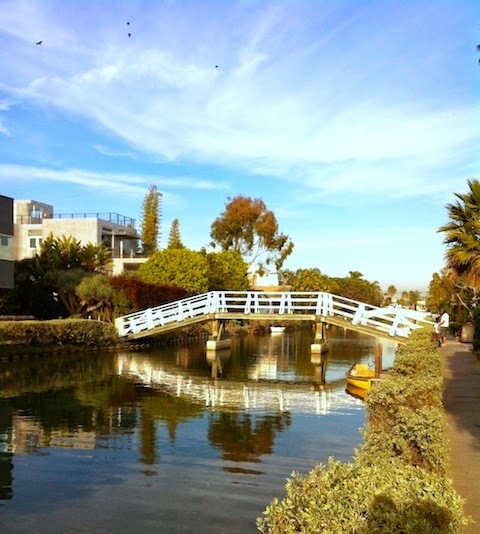 When 1942 rolled along, Los Angeles made it so the North Venice Canals system was not available to the public due to the hazard posed by water quality and deteriorating sidewalks and embankments. It took fifty years before rehabilitation for the Canals began in 1992. However, prior to that, they were designated a spot in the National Register of Historic Places in 1982 and deemed a Los Angeles Historic-Cultural Monument in 1983. Finally, in 1993, the Canals were re-opened to the public. 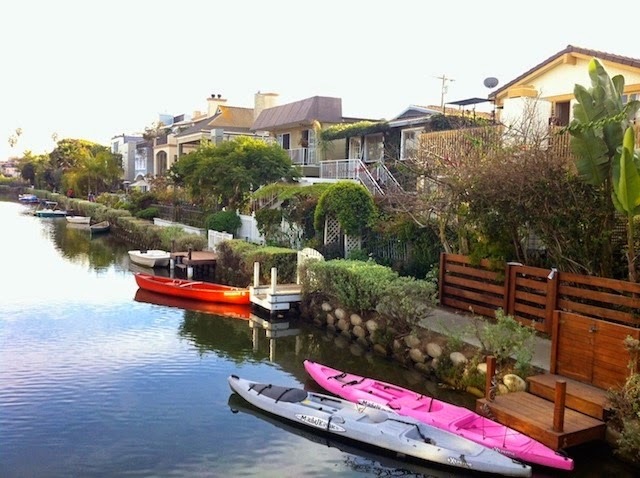 The Venice Canals are a lovely place to visit, especially for those looking to see more of the City of Angels than what is so heavily advertised. The area is lined with intriguing private homes, but the walkways are open to the public and offer a means for a stroll through a charming historical gem of Los Angeles. Passersby will also catch unbeatably photogenic scenery and boats (most of the time they’re docked, but homeowners do take them out onto the canals). It’s also just about a 10- to 15-minute walk away from Venice Beach, and is much less crowded since it’s not as well known among tourists and locals alike (although it can feel crowded when walking against oncoming traffic, as the walkways are quite narrow). Welcome to America! Public transportation is somewhat limited in Los Angeles (getting to the Canals from Downtown LA will take 1+ hours and two buses, as there are no trains/subways between these two points), but those who choose this option should check www.metro.net or www.googlemaps.com to determine specifically what buses/trains should be taken to get to the Canals from their point of departure. 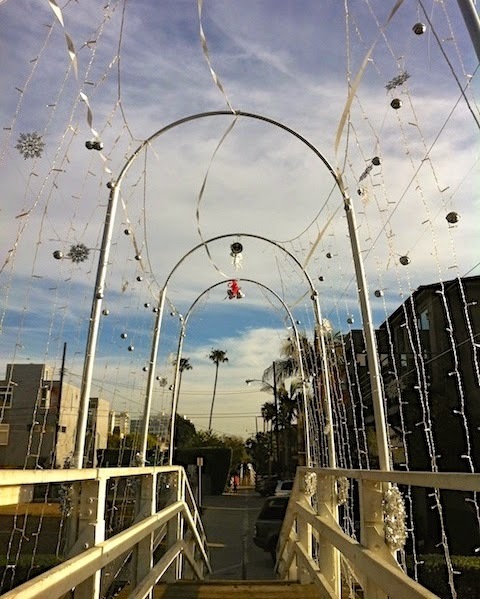 For those coming from Downtown LA via car, take the 10 East to the 405 South and exit Venice Blvd; then turn left onto Sawtelle Blvd, turn right onto Washington Pl and turn right onto Dell Ave. Once on Dell Ave., immediately begin looking for street parking as there is no lot or structure designated for the Canals. Then walk on over to the Canals, and enjoy! Agnes is a Filipino-American Los Angeles-based travel blogger who decided to pen her adventures on cyberspace after unexpectedly discovering a passion for travel. She writes as regularly as she can on her blog, Backyard Destinations, which she hopes will inspire others to travel in any capacity, even if just in their backyards. Thanks Shahid! Great job by our gues poster Agnes!